Located out in Harrison County on the Gulf Shore of Mississippi, Biloxi is one of the state's most popular resort locations. Home to around 46,000 people, Biloxi is a beautiful city that enjoys a lot of warm weather and sunshine all through the year. It's home to several key locations, both natural and man-made, like the various barrier islands of the Mississippi Sound and the iconic Biloxi Lighthouse, as well as the historic Beauvoir, Jefferson Davis Home and Presidential Library. A popular sort for all sorts of outdoor recreation and water sports, Biloxi is a great place for people of all ages to spend some time and is also home to some fun family attractions and even casinos. In short, Biloxi, MS is a great destination for a road trip or RV getaway, with a lot of great campgrounds and RV parks all around the city. Read on for full details on the best RV parks in Biloxi, including key contact info for each location and full overviews of the features and amenities at each park. Situated right by the beach in Biloxi, Cajun RV Park is one of the top rated RV locations in the city and has been very popular for several years now, putting smiles on the faces of countless visitors since it was first established. One of the best things about Cajun RV Park is its location; the vast majority of people visit Biloxi to enjoy the beaches and waterfront attractions of one of the prettiest cities on the Mississippi Gulf Coast, and if you choose to stay at Cajun RV Park, you'll be mere minutes away from all of the city's top spots. Cajun RV Park is also equipped with a long list of very impressive amenities to ensure that every guest has the best possible time and doesn't need to head off the park for any essential service or facility. The amenities you'll find here include free internet access and cable TV for everyone, free coffee and pastries served in the mornings, a play area for children, a pair of large pavilions, a spacious swimming pool, a dog park for your furry friends, propane sales, a free shuttle over to a local casino, and a huge outdoor fireplace. Lots of fun games and activities are organized here throughout the year too, so there’s always something happening and something to look forward to at Cajun RV Park. A luxury location with a lot to offer, Gulf Beach RV Resort is situated in the western edge of Biloxi, not too far from neighboring Mississippi City. It's one of the closest RV parks to the beach, so if you want to step out of your RV and head over to the soft sands of the Mississippi Gulf Coast, this is a great place to be. 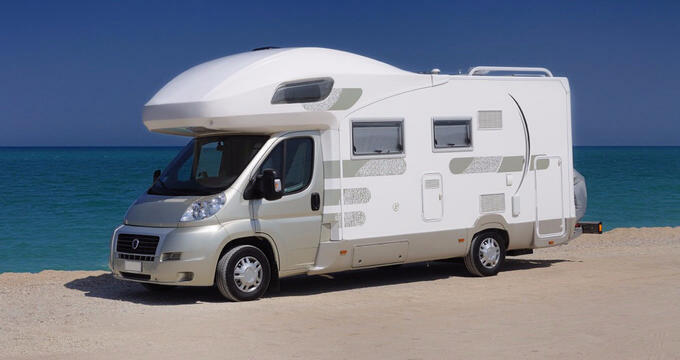 In fact, some of the RV sites at this Biloxi RV park even offer beachfront views right out over the water, and the various casinos and attractions of the city are just a short drive away. Gulf Beach RV Resort is a pet friendly location with simple rules to follow for all pet owners, so it's a good choice if you want to bring a furry friend along for your Biloxi adventures. This park also features some super amenities like an on-site Waffle House which is open all day long to provide good quality food and drinks to all guests, full concrete pad sites, a large laundry area with coin operated washers and dryers to keep all your clothes and bed linen fresh and clean, a swimming pool offering views over the Gulf of Mexico, private showers, cable TV channels, a large clubhouse with free coffee and flat screen TVs, a party deck area, and high speed internet access. Many of the best RV parks in Biloxi are down by the beach, but if you'd prefer something a little different, Parker's Landing is another highly rated RV park and campground and is situated up in the northern part of the city, near Big Lake and the various bayous and waterways of the surrounding area. This is a family owned and operated campground and RV park with plenty of spaces available for RVs of various sizes and shapes, as well as several properties available to rent. This RV park is situated on the side of Parker's Creek and offers quick and easy access onto the creek through its own private boat launch area. From there, you can set off towards the Biloxi River, the Back Bay, and down onto the Gulf of Mexico. Easily accessible just off I-10, Parker's Landing is a great RV park to choose if you're interested in exploring the local area, and it's only a short drive from the various casinos and beaches of Biloxi too. Rates are nice and low at this RV park, starting at just $25 per day or $140 for a week. Monthly rates are also available and the price will depend on the size of your motorhome, with waterfront sites available for an added fee. Amenities at this Biloxi RV park include free wireless internet for all guests, cable TV channels, outdoor fire pits, clean toilets, hot showers, full hook-up utilities, coin operated laundry machines, plenty of picnic tables, a camp store selling various essential items, and a large banquet hall that can be reserved for parties and special occasions.